A vegan diet does not contain any animal products, such as meat, poultry, eggs or dairy. In most cases, choosing to follow a vegan diet is a personal choice based on environmental and ethical factors, but some people may follow this strict diet as a result of health conditions. A vegan diet contains a variety of foods, including wheat and other sources of gluten. However, some vegans may choose to follow a gluten-free diet for additional health concerns. A diagnosis of celiac disease is the main reason for any person, vegan or meat-eater, to switch to a gluten-free diet. This disease affects the small intestine, interfering with the absorption of different types of foods. In children, digestion symptoms often appear, and these may include diarrhea, constipation, vomiting and weight loss. Adults do not typically have digestion symptoms. Instead, an adult with celiac disease my experience fatigue, canker sores, missed periods, arthritis, rash or joint pain. A gluten-free diet is the only way to reduce the symptoms associated with celiac disease. Gluten is a protein component in the seeds of wheat and similar grains, such as barley and rye. If you follow a gluten-free diet, you need to avoid a number of additional grains. These include sources such as farina, barley, semolina, spelt and matzo meal. Most processed foods, such as cookies, crackers and cereal contain grains with gluten. Gluten may also be in foods you don't suspect, so read labels carefully. Products such as medications, supplements, toothpaste and lip moisturizers may also contain gluten. Whether you eat meat or follow a vegan diet, taking steps to stop eating gluten products may pose a hurdle. Planning meals and snacks will help you avoid situations where you may feel tempted to choose an easy, processed food that contains gluten. You should keep gluten-free products as staples, and these include cornmeal, buckwheat, quinoa and rice. 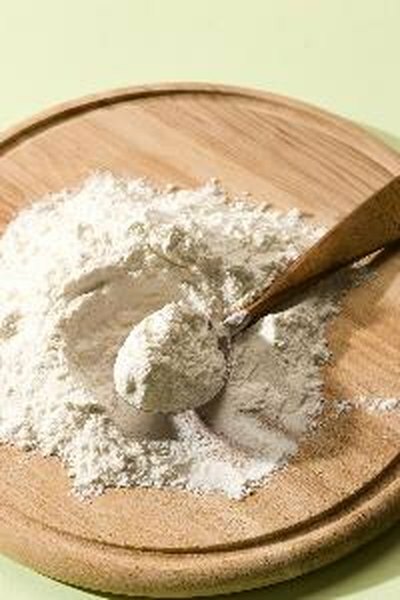 Gluten-free flours include rice flour, soy flour and potato flour. Vegans do not have to follow a gluten-free diet, but health factors may make these changes necessary. If you follow a vegan diet and need to make changes to eat gluten-free, talk with your doctor. She can help you reconfigure your dietary plan to ensure you have the appropriate intake of nutrients. If you eat a regular diet that contains animal products, your doctor can work with you to make these dietary changes.